Do you know what tesserae are? I didn’t before my recent visit to Garden Creek Vineyards in Geyserville, California. (For the record, tesserae are small blocks of stone, tile, glass, or other material used in the construction of a mosaic). Picking up ancient Greek lingo isn’t standard practice at wineries, but then again, nothing else about Garden Creek is either. Visitors to Garden Creek are greeted by one or both members of the married winemaking team and proprietors, Karin and Justin Warnelius-Miller. The wines are as unique and memorable as the Warnelius-Millers themselves (yes, they combined their names; true love and all of that). Before they take their first sip, visitors somehow instinctively understand that this wine-tasting—and the wine—will be utterly unique. Not in the “we like to age our wine in a sheep bladders for 12 months” clickbait-manner that so many winemakers are deploying in a desperate bid for market share, but in a subtle, yet compelling way that almost belies description. While finding a sustainably produced wine that honors the Old World, and is produced via a New World filter isn’t an aberration in California, the degree to which they take it arguably is. The Warnelius-Miller’s philosophy is rooted in a meet-cute story so corny that even the corniest Hollywood screenwriter might cut out of a rom-com script. It happened to be Justin’s family’s vineyard. Justin’s mother was also Swedish, and their mothers became inseparable. Justin and Karin, along with her three siblings, joined their parents in the vineyard to work, and play. “The soil of the vineyards became ingrained in our souls,” Karin explains, adding that of the four children in Karin’s family, she was the only one who embraced the farm-wine life. 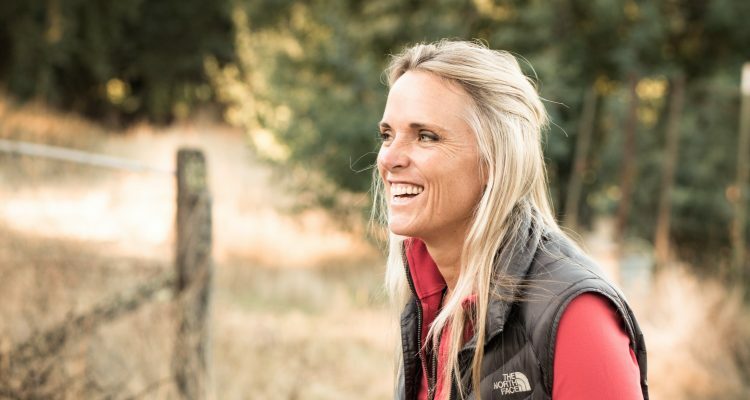 When Karin returned to Alexander Valley in 1998 at 26 after studying and working in the wine industry in San Francisco and Sweden, she and Justin naturally reconnected as old friends, but soon discovered there was something more. “We fell madly in love,” Justin explains simply. Justin, a sixth-generation Californian, had stayed on his family’s homestead after high school graduation to continue their legacy of meticulous, sustainable grape growing. 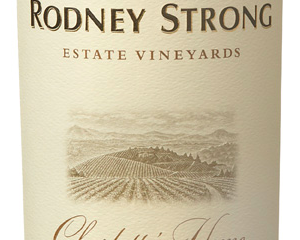 (He also took winemaking classes at the University of California, Davis). Karin joined him, and they moved forward as partners in every sense. Of the grapes, they grow at their vineyard, plus seven acres they acquired in nearby Philo, 85% are currently reserved for the premium Sonoma County winemakers—including Jordan Winery and Aperture Cellars—that Justin and his family have been working with for decades. But three years after their love story began, in 2001, Karin and Justin decided to begin bottling wines from the vineyard themselves, as a testament to their commitment to each other, to this place, to life: a physical embodiment of their spiritual terroir. How does their love story translate in the vineyard? Well, for starters, they work side by side within the fields with a team that has become an extension of their own family, a team that is also a family. Today, the crew is comprised of five brothers, one nephew and two cousins, all of whom have partners and children who also live on the ranch. “Because some of these guys have been working with the vines for more than 50 years, they know each curve of the property and quirk of the vines as well as they know themselves,” Justin says. The Warnelius-Millers are also rigorous about saving energy. They farm organically, recycle grey water to hydrate their compost, use 100% solar energy to power the winery and vineyard operations. In 2018, Garden Creek was recognized as a landmark vineyard by the Sonoma County Sustainability Certification Program for their pioneering sustainability efforts. Garden Creek’s winemaking process is as focused and unusual as everything else they do. They cane-prune each vine by-hand in January, leaving 3-4 buds per cane; it’s an ancient Old World practice called “deficit irrigation.” By withholding unnecessary irrigation, the resulting berries become more intense, their flavor concentrated. (An extreme, but possibly helpful analogy would be the flavor a typical table grape has, in comparison with a dried raisin). They night-harvest Chardonnay by hand in September, then move on to the Merlot a week later. Cabernet Sauvignon and additional Bordeaux varietals are plucked mid-October. “We follow the fruit’s lead,” Justin says, explaining how he and Karin pick and taste grapes from different blocks until they determine a block is primed for picking. The harvesting happens at night because it’s cooler, which helps lock in flavor, Karin says. From there, each red lot is managed individually in small tanks., Following maceration, native yeast fermentation and extended maceration, the wines are aged in 50% new and 50% used barrels, sourced from six specific coopers. The wines are unfined and unfiltered. They make only 400 cases of Garden Creek Chardonnay and 1,200 cases of Garden Creek Tessarae (a Cabernet blend); all are sold directly from the winery by allocation. The total production is tiny — but it will soon grow. The couple purchased a 160-acre property near Boonville, Anderson Valley in 2005, and will plant 30 acres of Pinot Noir and Chardonnay this Spring, with plans to plant more as needed in the coming years. The newly released 2012 Tesserae features the Bordeaux-like acidity, dryness, and structure we seek out in Cabernet Sauvignon, with that liveliness and a sense of the terroir it’s grown in (all of the grapes are sourced from its Alexander Valley estate) that I often find in organically produced, biodynamic wines. The wine’s aging has allowed the red, blue and black fruits to develop, meld and break out of the overly clingy tannic strictures so often found in young red blends. Yet it still feels young. The 2015 Chardonnay, produced from seven of the 11 clones they grow on-site, is a celebration of their land, with a tight structure, a deep minerality, and the lush texture more often found in Old World Chardonnays. Was my judgment of their wine clouded by their compelling story? Trust, but verify as the Russian proverb goes. While the current vintages haven’t been rated yet, Wine Enthusiast gave their 2002 vintage 93 points Decanter Magazine gave their not-yet-released 2015 Garden Creek Tesserae 92 points. Tesserae is a name of one of the Warnelius-Miller’s wines, but it’s also a metaphor for who they are: a mosaic of old and new, America and Europe, farmland and the winemaker’s hand. A work of art that makes sense put together, but is understood best when all of its parts are examined.